It is getting warmer and dryer in SW Nebraska. Last week we received 0 to 0.8 inches of precipitation, while reference evapotranspiration (ET) losses dropped 2 inches. 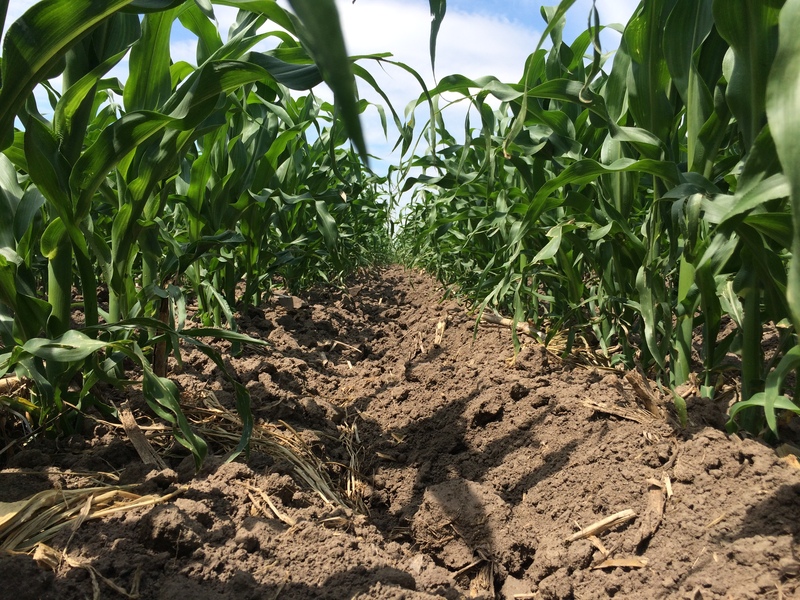 Many farmers are irrigating corn and other crops to build up the soil moisture profile so they can keep up with water demand during the peak of the growing season. Awoid chemigating roads and neighbor fields. Wheat Most of the wheat is at dough stage, but harvest will start next week in some areas! Hard winter kill in some areas, dry early spring and very wet April and May created favorable conditions for diseases that we don’t usually expect in this semi-arid climate to develop to flourish. 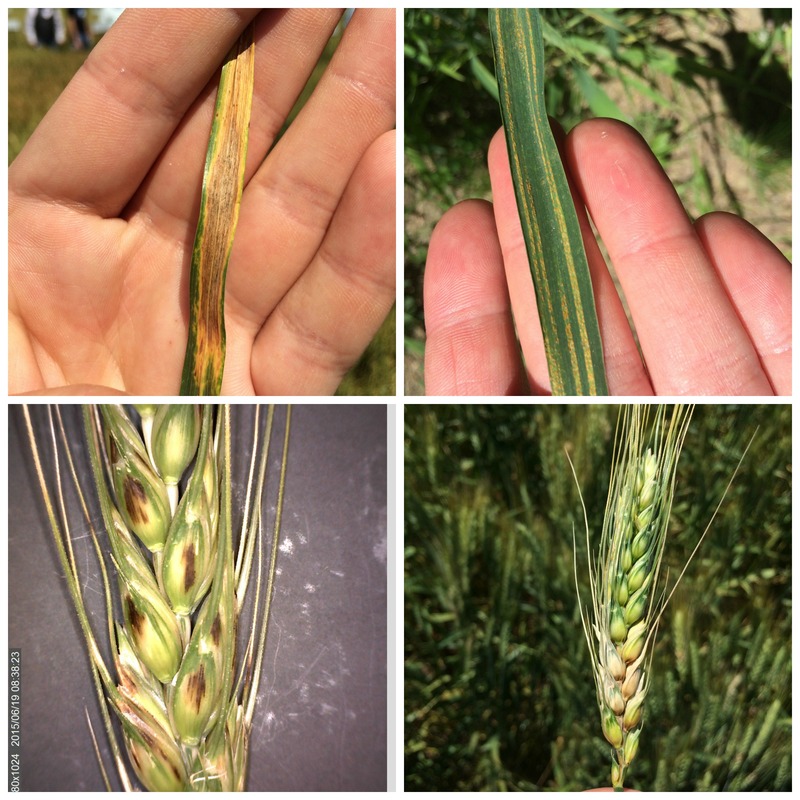 Many farmers were not ready for it and diseases like black chaff, stripe rust, Fusarium head blight (scab) and Septoria leaf blotch are going to cause severe yield reductions. We learned that knowing varieties you planted is the best way to fight diseases; if variety is susceptible to stripe rust, be ready to spray. Corn Corn is at V3 to V10 growth stages. Fields reveal the consequences of planting in wet conditions. Restricted root growth due to compacted seed bet is very common. Rootworm injury has been observed in continues corn. Look at which Bt-protein is expressed in your Bt-corn hybrid. If eCry3.1ab, mCry3A or Cry13Ab1 proteins are not expressed in your hybrid chemigate with Capture LFR or Brigade to control larvae of the rootworm. 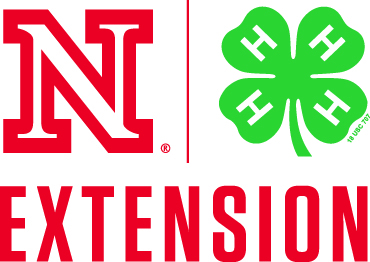 Even though, tillage and cultivation are a big “NO” in this part of the country, popcorn producers started cultivating due to lack of options to control kochia and Plamer amaranth. Soybean Soybeans are at V1-V6 growth stage. Time to inspect soybeans for nodulation. Cut nodule in half and if color of tissue is pink, nodules are active and nitrogen fixation is present. Kochia is very hard to control and it’s gaining biomass rapidly with warm weather. 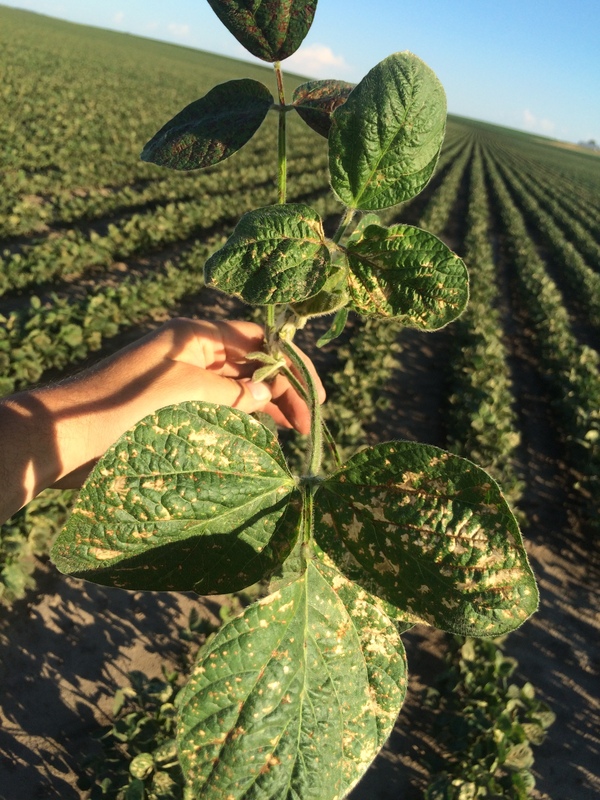 Severe herbicide injury has be observed on soybeans in this area. Avoid applying generic herbicides that you haven’t used before at high temperatures to reduce the risk of hearting a crop. Other crops Milo from emergence to V6. 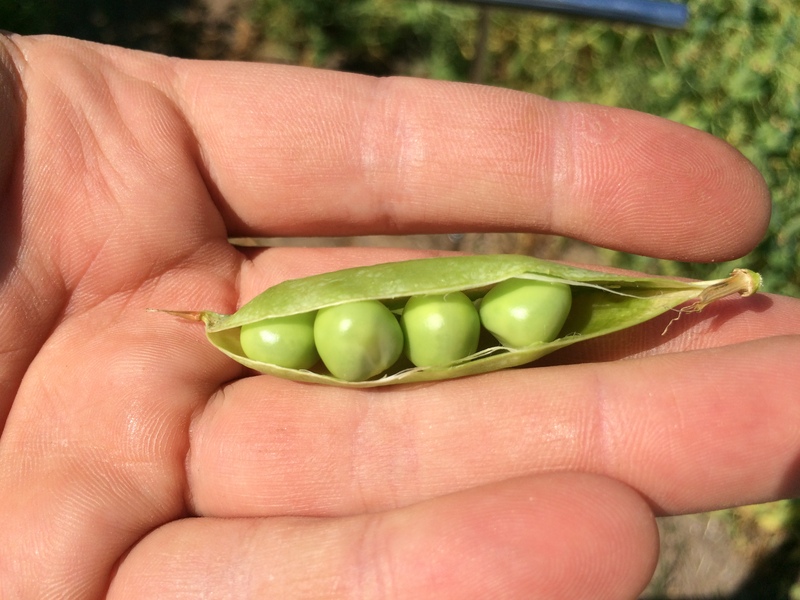 Field peas are filling pods. Potatoes are in tuberization stage. 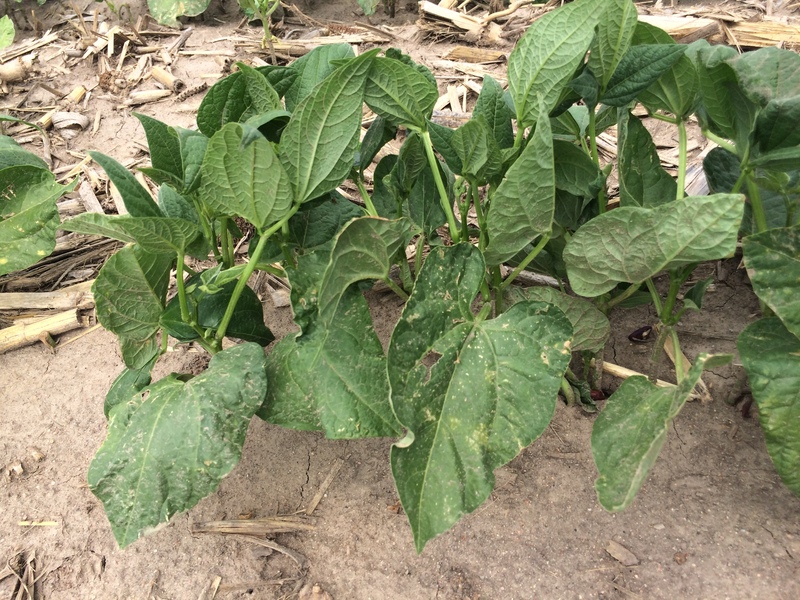 Dry beans are at VE-V3 and in good condition. 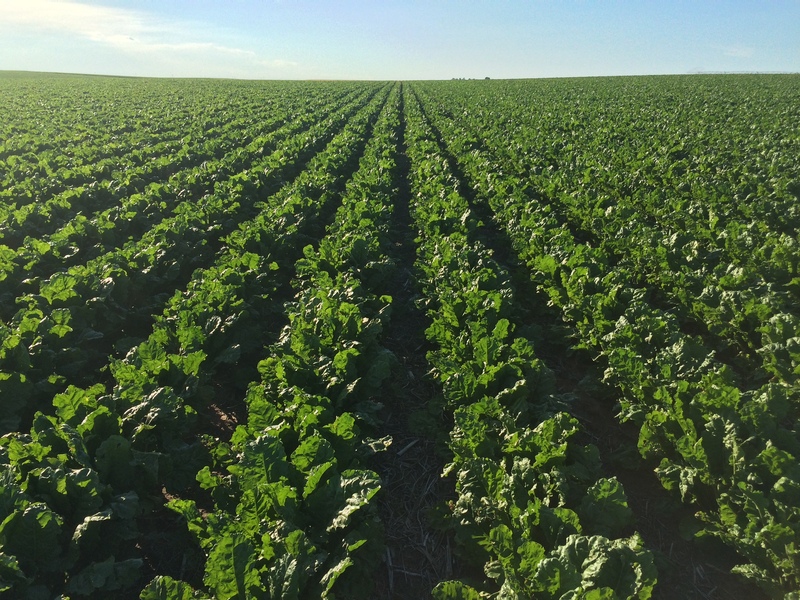 Sugarbeets are at 75% cover, and some insect damage and Cercospora leaf spot is visible on leaves, but no management action is needed at this point.